A straw is a narrow tube for sucking a beverage from a container. Judah drinks his milk through a straw. 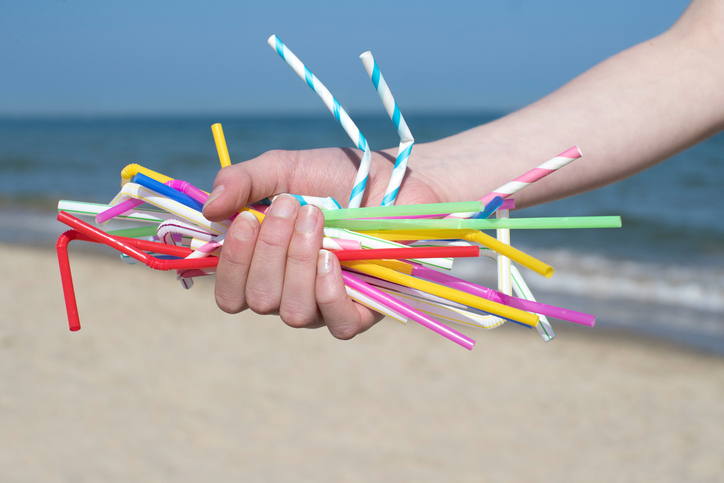 Straws are causing pollution in the oceans. Straw is also stalks of a cereal grass like wheat, oats or barley. Straw is used as bedding for animals in a barn. Jane wears a straw hat on sunny days. Diana served homemade bread in a straw basket. Here are 19 creative ways you can use straws. There are other meanings of straw.